Nootropic supplements are known to boost learning, memory and recall. This post is about how memory works in your brain. And provides suggestions on nootropics you can add to your stack for each step of the memory process. Memory is fundamental to quality of life. Something as simple remembering where you left the keys. To the recall required for your next exam or board presentation. 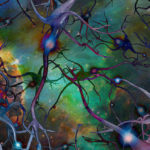 Science has now discovered not only how memory works in our brain all the way down the molecular level. But also has empowered us as neurohackers to be able to select the best nootropics for improving learning and memory. Once you understand, even on a basic level, how memory works in your brain, and the different mechanisms affecting it – you can confidently build a stack that works. I encourage you to read this entire post so you’re confident that this isn’t magic. We have real science and years of practical experience on boosting memory with nootropic supplements. Here’s a nootropic stack for learning and memory you can try right now to get you started. 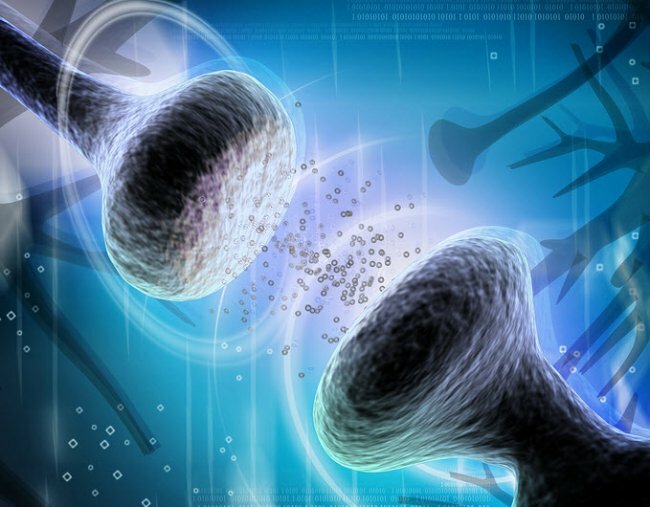 A new memory typically involves interactions between thousands of neurons. If this new encoding doesn’t get used, it will soon fade. 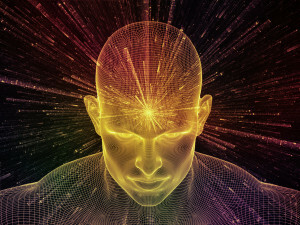 But when you continue to reactivate the information that you’ve stored by re-reading this sentence, the connections become reinforced. There are tiny, physical changes going on in your brain at this moment because your reading this sentence. And several parts of your brain are involved in this process of memory encoding and storage. Particularly your cerebral cortex and hippocampus. In May 2016, researchers at the University of Bonn identified the mechanism of action behind memory switching from recall to memorization mode. Every new sensation you experience including taste, sound, and sight first enters your hippocampus. This seahorse-shaped section deep in your brain also retrieves stored information from deep within your memory. 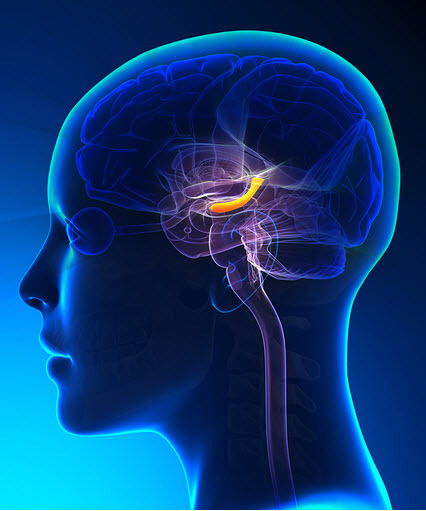 The hippocampus controls the flow of information to and from your brain. It’s like memory mission control. Hippocampal astrocyte cells ensure new information is given priority. When your hippocampus switches your brain into memorization mode, already stored memories must wait. In your hippocampus, acetylcholine (ACh) stimulates astrocyte cells which then are induced to release the neurotransmitter glutamate. The released glutamate then activates inhibitory neurons which inhibit pathways mediating the retrieval of memories. This process in your hippocampus is one of the reasons acetylcholine (ACh) helps boost memory. As a nootropic, we use choline supplement precursors to produce ACh. Including Choline Citrate, CDP-Choline, Centrophenoxine, and Alpha GPC. Glial is derived from the Greek word for glue (glia). And make up the white matter in your brain. Types of glial cells include astrocytes, ependymal cells, microglia, Schwann cells, and oligodendrocytes. Vinpocetine, Bacopa Monnieri , Gingko Biloba and Pine Bark Extract are the most used nootropics to increase blood flow to, and throughout your brain. Oligodendrocytes are the glial cells that help produce the myelin sheath coating axons in your brain. This myelin sheath is like wrapping a wire in electrical tape. It provides protection, and allows electrical signals (action potential) to be more efficient. [v] Which plays a critical role in memory encoding and retrieval. Myelination generally proceeds in a wave from the back of the cerebral cortex (lower back of your skull) to the front (forehead) as you grow into adulthood. The frontal lobes are the last places where myelination occurs. These regions are responsible for higher-level reasoning, planning and judgement. Skills that come with experience. Teenagers typically have less fore-brain myelin. And is one reason why teenagers do not have adult decision-making abilities. (Keep this in mind the next time your teenager makes a particularly dumb decision). Piano virtuoso and associate professor Fredrik Ullén at the Stockholm Brain Institute, used diffusion tensor imaging (DTI) brain-scanning technology to look at the brains of professional pianists. Professor Ullén found that professional pianists had more highly developed white matter regions in their brains compared to non-musicians. These regions connect parts of the cerebral cortex that are crucial for coordinated movement of the fingers with areas involving other cognitive processes that operate when making music. 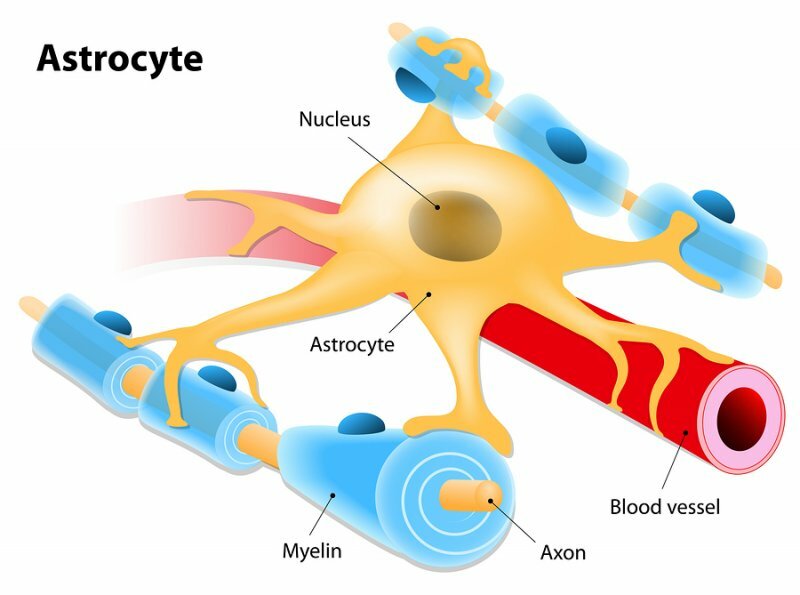 To help produce this critical myelin sheath for your brain’s axons, you can use Sulbutiamine, Vitamin B1 (thiamine), SAM-e, Vitamin B12 (Methylcobalamin), and Vitamin B9 (Folate). Why do we remember some things and not others? Think about your daily commute to work for example. Or a trip to the grocery store. This simple trip that you take all the time requires the activity of millions of neurons in your brain. But you would be hard pressed to remember what was happening halfway to your destination during your commute last Thursday. So how is it that millions of neurons could be activated during this commute without storing this information in your brain? 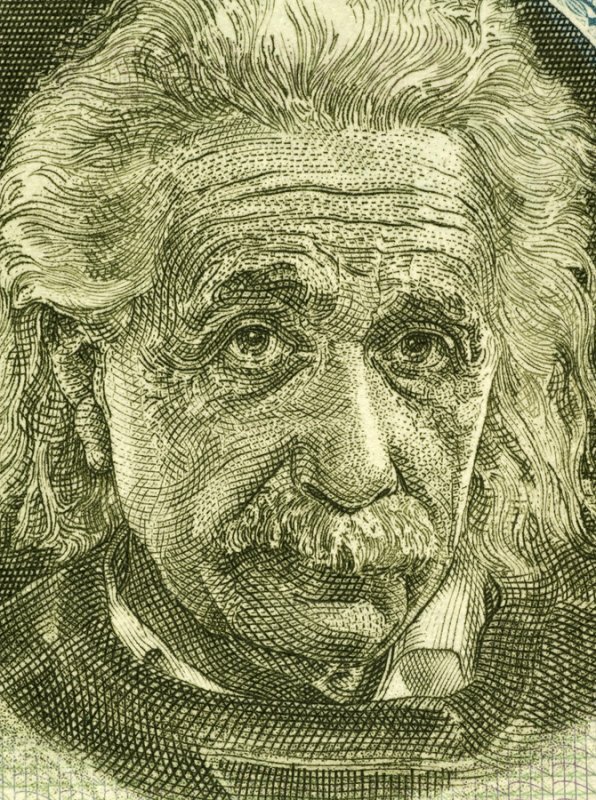 Two Northwestern University researchers may have the answer. Looking into the brains of living animals, the team discovered signals in dendrites that could explain learning and memory. In your hippocampus are 100’s of thousands of place cells (neurons essential to your brain’s GPS system). Disruption to the brain’s GPS system in the hippocampus is one of the first symptoms of Alzheimer’s Disease. And why many patients are unable to find their way home. Their dendrites are not storing the information. Dendrites are like branches projecting out of neurons that act like an antenna. Dendrites receive electrical signals sent by the synapses of neighboring neuron axons. You can have as many as 15,000 dendrites projecting from a single neuron. [viii] When you experience incoming stimuli from your senses, neuron activity increases. And dendritic spines change size, shape and conduction leading to long-term potentiation (LTP). This change in dendritic spines (neuroplasticity) and long-term potentiation plays a fundamental role in learning and memory. The structure and branching of a neuron’s dendrites, as well as voltage-gated conductance in the cell body, tells the neuron what to do based on input from other neurons. But dendrites are not passive participants in this chat between neurons. Voltage changes at a particular location on a dendrite transmit the electrical signal through a system of dendrite elements including different diameters, lengths, and electrical properties. We’ll dig into these neuron electrical properties in more depth later in this article because they’re crucial to how memories are formed. And which nootropics do what to influence these electrical signals to boost cognition and mood. 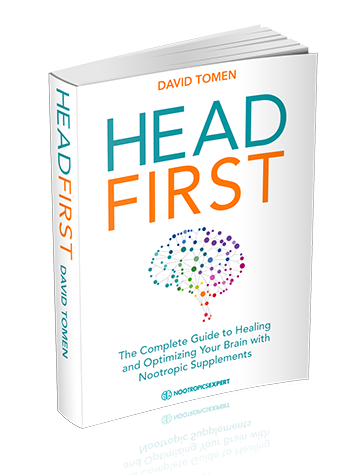 Nootropics to boost dendrite health include Ashwagandha, Artichoke Extract, DHA, Gotu Kola, and Turmeric. 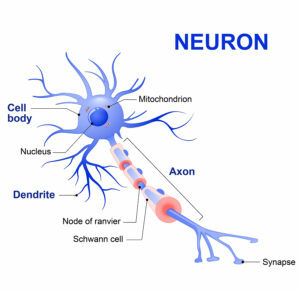 Each neuron in your brain can have thousands of dendrites, but only one axon. 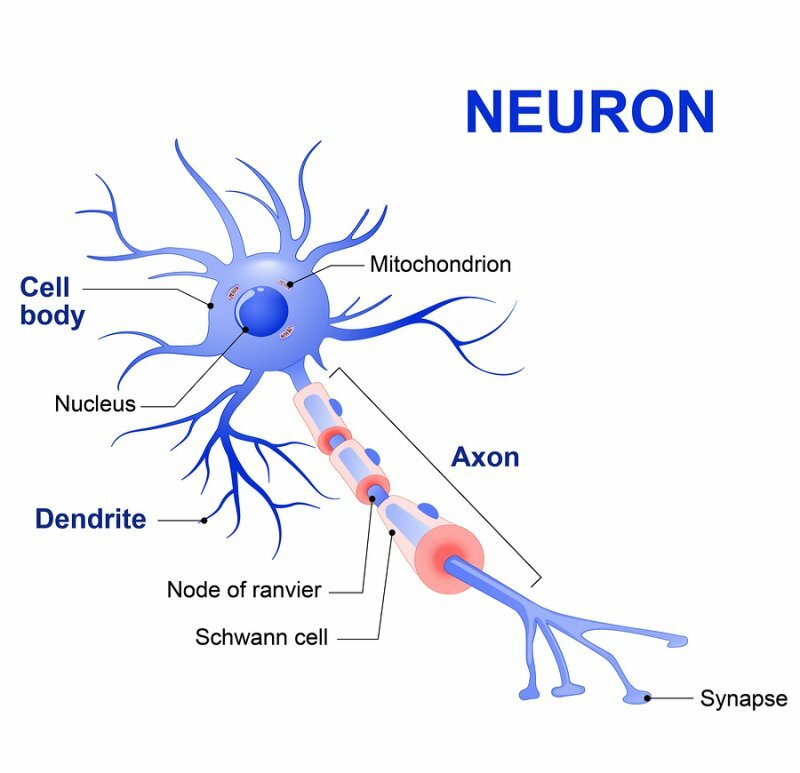 The neuron uses its axon to transmit an action potential (electrochemical signal) down the length of the axon. With the intent of finding neighboring neuron’s dendrites to communicate with. The neurotrophic factors nerve growth factor (NGF), brain-derived neurotrophic factor (BDNF) and neurotrophin 3 (NT3) are involved in axon development. See this Nootropics Expert article on 13 Nootropics to boost Brain-Derived Neurotrophic Factor (BDNF). When the action potential reaches a presynaptic terminal (tip of the axon), it activates the synaptic transmission process. The first step is opening calcium ion channels in the axon, allowing calcium ions to flow across the axon. This increase in calcium concentration causes vesicles (tiny containers enclosed by a lipid membrane) filled with a neurotransmitter to fuse with the axon’s membrane. And empty their contents into the extracellular (outside) space. The neurotransmitter diffuses across the synapse to receptors located on dendrites of the target cell. The neurotransmitter binds to those receptors and activates them. The presynaptic axon terminal then moves a new set of vesicles into position. Ready for release when the next action potential arrives. This process of communication between neuron’s axons and dendrites is how memories are formed. And affects alertness, concentration, cognition and mood. Use the nootropics Ashwagandha, Gotu kola, Vitamin B1 (Thiamine), Vitamin B6 (Pyridoxine), and Vitamin B12 (Methylcobalamin) to maintain axon health in your brain. The basic mechanisms involved in neuroplasticity include neurogenesis (growth of new neurons), dendrites and axons, cell death (apoptosis), and synaptic plasticity. Repetitive stimulation of synapses can result in long-term potentiation or long-term depression of neurotransmission. Together, these changes are associated with physical changes in dendritic spines and neuronal circuits that influence your behavior, memory and mood. Neuroplasticity is most active during childhood. But remains with us into adulthood. [x] Researchers have measured and studied neuroplasticity in human brains for decades. [xi] And is the basis behind how and why many nootropics work to boost memory. Neuroplasticity was identified back in 1949 by Donald Hebb in his book “Organization of Behavior: A Neuropsychological Theory”. 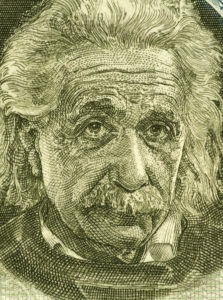 [xii] Hebb’s theory was that your brain adapts to its environment based on experience and development. Thinking and learning change your brain’s physical structure and functional organization. Hebb was also the guy who coined the term so often quoted in nootropic circles, “neurons that fire together, wire together”. Nearly all the nootropics in our Big List of Nootropics influence neuroplasticity. But you can boost neuroplasticity in other ways as well. Several studies have linked meditation to differences in cortical thickness and gray matter. One study at Emory University worked with 13 regular practitioners of Zen meditation, and 13 matched controls. This study examined how the regular practice of meditation affected the normal age-related cognitive decline of gray matter in the brain. Neuroscientist Richard Davidson of the University of Wisconsin led experiments with the Dalai Lama on the effects of meditation on the brain. The study showed that meditation practice results in different brain activity levels associated with attention, anxiety, depression, fear, anger, and even the ability of the body to heal itself. For more on how your meditation practice can be enhanced with nootropic supplements, see my post on Best Nootropics to Enhance Meditation – Calm Your Mind. Since this is about nootropics, and how supplements work to help boost memory, we’ll not delve too far into the neuroscience of which part of your brain does what. Instead, we’ll dig down to the cellular level to explore how nootropics influence brain function. And what you can do to improve memory. We now know that thousands of neurons, dendrites, axons, neurotransmitters, action potentials, neuroplasticity and growth factors all contribute to the formation of memories. And we reviewed many of the nootropic supplements that can assist each of these. But to really understand how memories are formed and recalled, we need to dig even further. All the way down to the molecular level. This can be a little intense so stay with me here. There are basic steps in the molecular biology of short-term memory. And its conversion to long-term memory for both implicit (procedural) and explicit (declarative) memory. Procedural (implicit) memory is long-term memory that is responsible for motor skills, and knowing how to do things. Things like talking, walking and driving your car. Declarative (explicit) memory is long-term memory that includes episodic memory (your store of people, places, and objects), and semantic memory (your store of facts and events). When new information comes in from your senses, short-term memory uses existing proteins in neurons. Short-term memory lasts from 20- 30 seconds. But its conversion to long-term memory requires new proteins to be created via gene expression (new mRNAs and protein synthesis). Long-term memory can last from a few hours to a lifetime. Incoming stimulus from your senses to your brain stimulates the release of serotonin (5-HT). 5-HT binds two types of receptors on the neuron. One is coupled to the DAG (diglyceride)/PKC (protein kinase C) system. And the other is coupled to the cyclic AMP (Cyclic adenosine monophosphate)/PKA (protein kinase A) system. Both are signaling pathways. These protein kinases exert two type of actions. First, they regulate the properties of membrane channels in the presynaptic neuron. This action regulates the amount of calcium that enters the synaptic terminal during an action potential. And causes a boost in the release of the neurotransmitter. Leading to an increase in the excitability of the post-synaptic neuron. Second, kinases regulate the cellular processes involved in neurotransmitter release. Including the pool of available synaptic vesicles available for release in response to the incoming Ca2+ (calcium ions) with each action potential. Finally, serotonin (5-HT) leads to changes in the properties of the post-synaptic neuron. Including an increase in the number of glutamate receptors. I hope I haven’t melted your brain yet. Just know that the consequences of these processes determine the strength of synaptic connections. And your ability to form even short-term memories. Like knowing you better stay out of the way of that guy running a Stop sign. Or that fork full of salad goes in your mouth and not in your ear. Learning involves the engagement of second messenger systems. This is where protein kinase C (PKC) and protein kinase A (PKA) come in. And cyclic AMP (cAMP) is one of the critical second messengers involved in memory. There seems to be a lot going on here just to form short-term memories. But they’re short because all the above processes are very transient. The duration of these memories is dependent on how long the various proteins and membrane channels are phosphorylated. You need the ability to form short-term memories to form long-term memories. Short-term memory can be increased with the nootropics Huperzine-A, Kava, Rhodiola Rosea, Phosphatidylserine (PS), DMAE and Nicotine. Earlier we touched on the two major differences between short-term memory and long-term memory. Long-term memory requires new protein synthesis and gene regulation and expression, and short-term memories do not. And long-term memories typically involve physical modifications in your brain. Otherwise known as neuroplasticity. Long-term memory relies on long-term potentiation which is a strengthening of synapses between neurons resulting from repeated activity in the brain. “Neurons that fire together, wire together”. Think of reading this last sentence 5 or 6 times so you remember it. And you’ve started long-term potentiation to create the memory of that sentence long-term. cAMP, one of the second messengers involved in short-term memory, is also involved in producing long-term memory. cAMP effects the membrane channels like in short-term memory. But in long-term memory, cAMP with PKA also phosphorylates (introduces a phosphate group) transcription factors like cAMP responsive element binding protein (CREB). Transcription factors such as CREB, once a phosphate group is added, leads to gene expression. Which leads to changes in expression of proteins needed for producing and maintaining changes in synaptic strength. And long-term memory. Multiple genes and transcription factors acting synergistically in a single neuron are involved in the production and maintenance of memory. Properties of the neuron, the strength of synapses, and gene expression occur at different phases of the memory development. Some occur early and some up to a day after the learning takes place. NMDA glutamate receptors are involved in long-term potentiation (LTP) with CA3-CA1 synapses in your hippocampus. Post-synaptic spines of CA1 neurons have two type of glutamate receptors; NMDA-type glutamate receptors and AMPA-type glutamate receptors. Both types of receptors respond to sodium ions (Na+) and potassium ions (K+). But the NMDA receptor is also responsive to calcium ions (Ca2+), and can be blocked by magnesium ions (Mg2+). When the NMDA receptor is activated by an electrical signal from a neighboring neuron, calcium ions enter that neuron and stimulate Ca2+/calmodulin-dependent protein kinase II (CaMKII). ERK integrates many signals in your brain. And if ERK is blocked, long-term memory is inhibited. [xxvi] You can use the nootropic Turmeric to activate ERK. Ras can also be activated by Brain-Derived Neurotrophic Factor (BDNF). [xxvii] We already discussed how to boost BDNF in the “Axons and Memory” section earlier in this article. You can use the nootropics PQQ, and Pterostilbene to help boost CREB. You can inhibit PDE4 with Resveratrol, Oat Straw and Artichoke Extract. And you can increase cAMP with Forskolin and Vinpocetine. Artichoke Extract and Forskolin are key ingredients in the CILTEP stack. And finally, Nefiracetam has been shown to increase the amount of time calcium channels in neurons remain open. Tied to protein kinase A (PKA) and the Gi alpha subunit (Gi/o protein), signaling is enhanced in the neuroreceptor independent of the synapse. This calcium channel pathway is critical for long-term potentiation (LTP) and the formation of long-term memories. Nefiracetam also potentiates protein kinase C alpha (PKCα) which is involved in long-term potentiation (LTP). PKCα is dependent on glutamate signaling. And Nefiracetam activates Ca2+/calmodulin-dependent protein kinase II (CaMKII) which is critical in memory formation. Again, dependent on glutamate signaling. Memory touches every aspect of your life. Your heart beating, to remembering your anniversary, to making sure you pick up milk on the way home. Armed with the right knowledge and the willingness to experiment, you can put together a nootropic stack to help improve your memory. Just one word of caution – please do not attempt to use every single nootropic mentioned in this post. Take care in assembling your nootropic stack to include at most, one from each section. Nootropic supplements work in synergy. So carefully read through each detailed post on the nootropic you want to try. Finally, it was not my intention to overwhelm you with all the information in this post. But I couldn’t find all this information in one place anywhere else. If you found this helpful, please share it with anyone who could use some help with their memory. And if you have any questions or suggestions, please use the Comments section below. Wife is starting to have cognitive problems. Extremely frightening. We are 74 years of age. Thanks so, so much for your contribution. Hi- I am 48 years old female and find that in the last few years my I am having troubles with memory, LT recall, concentration. Is there is premade formula (ie i prefer not to buy 5 different bottles of pills). Perhaps a kind that I can take in the morning that can help. This problem is affecting work a bit and would like to try to mitigate the issue as much as possible. Your other option is to choose one nootropic from each category in this post and build your own stack. Either way will work. But keep in mind this must be a long term effort. Don’t expect results in one day. It may take 2 – 4 weeks of daily consistent use before you notice a difference. Great Stuff! Thanks A lot! Can you think of any nootropic that is similar to Aniracetam and approved in Saudi Arabia? I need something to help me with learning new languages. Shad, there really isn’t anything like Aniracetam in my opinion. The closest comparisons would be other nootropics in the racetam family of compounds. You could try the CILTEP stack with Artichoke Extract, Forskolin, and ALCAR. Along with Resveratrol and DHA. Add the B-Vitamins and magnesium and you should have a pretty amazing stack for learning and memory. Why do you turn off the comments on your youtube channel? Pam, because so far I’m handling everything for Nootropics Expert on my own. With the help of a very small team for IT, and some graphics. All writing, video, responding to comments, emails, Facebook, Twitter, and everything else is handled by me. Adding YouTube comments to dozens of videos is just not something I have time for. And to do it right. Which is why I ask people to direct comments and questions to Nootropics Expert. I have problems with hypothyroidism since child. I am in adulthood, and I have problems with concentration, focus and learning. I’m an engineering student. ALCAR + Alpha-GPC + L-Theanine + Omega 3, is a good idea? 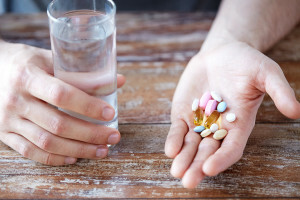 Maicon, your proposed stack is a good ideas as long as you use the recommended dosages and types suggested in the review for each of these nootropics. I’ve personally found that I needed to get my thyroid hormones at optimal levels before I could get any nootropic to work effectively. So I’m assuming you’re using thyroid meds and your levels are OK.
Also, please see my suggested starting stack at the very top of this post. The idea for that stack is to cover each of the bases involved in learning and memory. Which means adequate levels of neurotransmitters, optimal blood supply and the vitamins needed for neurotransmitter synthesis and brain signaling. how long for the effects of nootropics? Maicon, 1 gram of Alpha GPC is too much. Please follow the dosage recommendations here: https://nootropicsexpert.com/alpha-gpc/. You may feel the effects of whatever you are using within 30 minutes for some nootropics. Others are subtle and you won’t notice anything right away. But a couple weeks down the road you may realize you remembered something that would not have happened before. How can I test the quality of nootropics? In Brazil, this theme is not much talked about, unlike muscle supplements. Here it is done by drugstores manipulators. Maicon, you would need to send each nootropic from each batch to an independent lab for testing which is simply not practical. A better option is to ask for a “Certificate of Analysis” for the supplement batch you are considering ordering. Sometimes companies put the CoA on their website but most of the time you’d need to ask for it. for a longer duration (16 hours), should I distribute the doses? 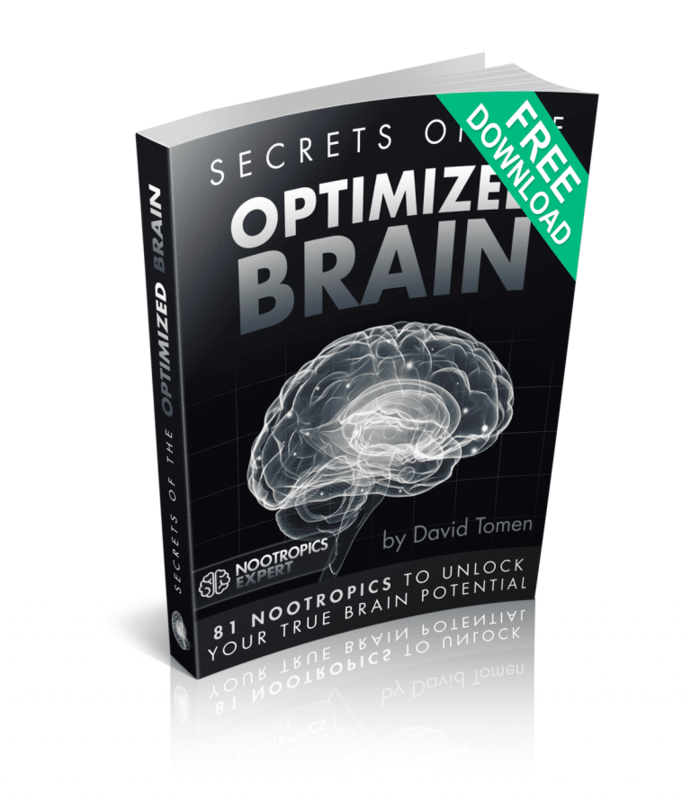 Check the dosage recommendations for each nootropic you are using. Maicon, my body cannot convert synthetic thyroid so I use NP Thyroid which is natural desiccated thyroid similar to Armor. I do use L-Tyrosine but for supporting methylphenidate which I use for Adult ADD. Dear David, recently you recommended this stack to me (19 year old student). I took the stack at the low end of the dosages you recommend. There seemed to be improvements in cognitive performance which was pretty nice even tho they were not that apparent. The biggest effect was that it improved my mood and seemed to evoke a slight arousal in me, which was a nice benefit. After about 5 weeks of use i started having more trouble falling asleep at night and on some nights i remained awake for about 4 to 5 hours after i went to bed (keep in mind i meditate in the dark for at least 30 minutes before i go to sleep, so most of the winding down has already been done by the point i lay down). 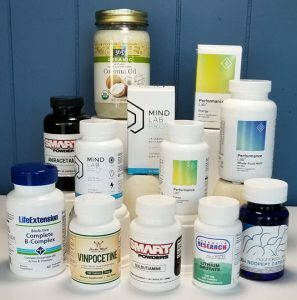 After 7 weeks of use i got of the stack and remained using only my multi, DHA, L-theanine and a few other non-nootropic supplements and started sleeping very well again. Besides this problem my cognitive skills did not seem to decline that much even tho i slept a lot less during those last two weeks. Do you know which of the supplements might have caused this effect? I enjoyed the effects this stack bring me but it’s not worth laying awake from, of course. Also, do you think somebody my age can benefit from a choline supplement? I read that it’s likely somebody my age will just end up with too much choline, causing an adverse effect. Thanks a lot for reading. I appreciate the fact that you always answer all the questions on here!! Mart, please remind me of the stack I suggested. I can’t seem to find it. Excuse me for not including which stack i used. It was the ‘learning and memory stack’, the one with bacopa, pqq, cdp-choline, pine bark and fosfatyldiliserine. Mart, did you take these supplements in the morning or later in the day? I’m talking about time you had trouble sleeping. I took the supplements first thing in the morning every time. Mart, earlier you asked if a choline supplement was really needed for someone your age. It all depends on the individual and how your brain uses these neurotransmitters. The thing is the combo of CDP-Choline, Bacopa, and phosphatidylserine (PS) all affect acetylcholine in one way or another. And Pine Bark Extract along with PQQ is helping blood flow and things to work more efficiently. Add in DHA and a multi and there is the real possibility that excess acetylcholine may be causing your sleep issues. I suggest continue what you are doing now and try each one of these nootropics individually but one at a time and see what happens. At your age and a reasonably healthy brain it’s easy to amp things up too much. It’ll feel good for awhile. And then something goes haywire. It could be you do not need CDP-Choline because several other nootropics in your stack are influencing acetylcholine. But I noticed that you mentioned “performance lab mind” and not “mind lab pro” I know they’re made from the same company, but their’s some difference in the ingredients. So which one is better for students? Motasem, both are great for students. But Performance Lab Mind works best if taken with a quality multivitamin. Something like the Performance Lab Whole-Food Multi. Mind Lab Pro can be taken on it’s own. And is more of a universal stack because it not only helps with cognition, learning and memory. But it also helps with longevity and brain maintenance.